A few weeks ago Jana and I were talking with our friend Jonathan McRay who was in town for some presentations and consulting work at ACU. Jonathan was sharing about the importance of land and place in indigenous spirituality. For indigenous peoples spirituality is rooted in a very specific ecosystem. And in the Bible you see this with Israel, how their relationship with YHWH was rooted in a specific land and place. Moreover, in indigenous spirituality when you fall out of step with the land the spiritual equilibrium gets out of whack. Some bad mojo starts to happen. People and land are out of sync. And again, you see this in the life of Israel where famine in the land was punishment for spiritual wickedness. Ecosystem and spirituality go hand in hand. If the people are spiritually healthy the land is healthy. But if the people are sick the land becomes sick. The thermometer of our spiritual fever is the quality of our soil and air. This conversation with Jonathan got us talking about the spirituality at work in a given place or land, how the "gods" of a people are regional and territorial. There is the land and there is the spirituality at work in the land. God divides up the land and the peoples assigning to each a "son of God," a regional deity. From among the nations God keeps Israel for Himself. Later in the book of Daniel we see these wicked regional gods morphing into something we'd call demons. But even in Daniel the demon described is still tied to a land and place. 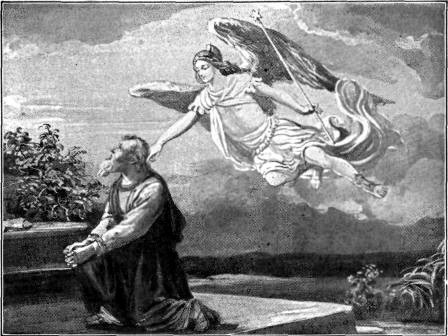 In Chapter 10 we find Daniel praying and after a few days the angelic messenger appears to answer. The angel apologizes for his delay by saying that he was intercepted by "the prince of Persia." The angel was only able to get away from this demonic interference after Michael the archangel came to the rescue. What we have in Daniel 10 is a vision of angelic and demonic combat, but note how the demon is still tied to land and place. The spirit is territorial and regional: The prince of Persia. The point of all this is that I think there are some biblical intersections with indigenous spiritualities, ways to look at the spirits that govern the land and how those spirits are variously aligned or misaligned with the Kingdom of God at work in a particular place and land. How the regional and territorial spirits are either healthy or sick.